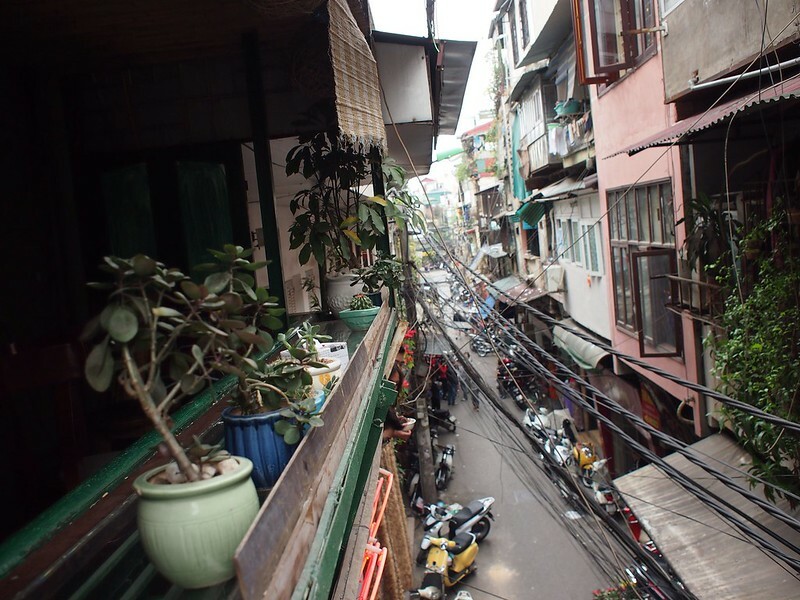 My Hanoi adventure began from the Old Quarter at the Artisan Hotel, walking the streets and intending to move effortlessly through the chaotic traffic. Kinda learning. By St Joseph’s cathedral there are many warm balconies and it was the Hanoi House that convinced me to figure out how to get inside. Along the side street is a painted sign to some stairs and when you walk past (through?) someone’s house you have arrived at this great bar. I waited a few minutes for a seat on the balcony so that I could be a part of the warm night activity while sipping Sapa tea. 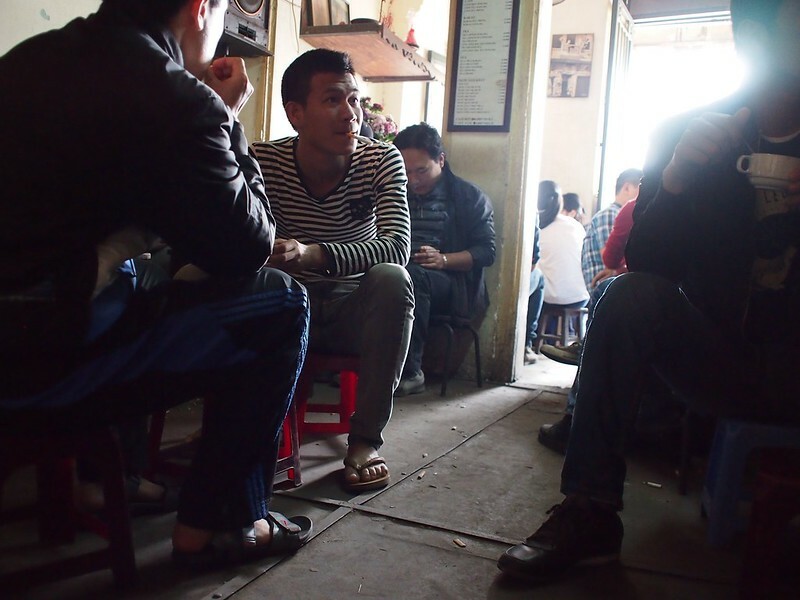 Searching for eggs the next morning brought me to the Hanoi Social Club. Restaurants here often have many levels so don’t feel you need to sit right at the front door, take a look upstairs and maybe even up a second set of stairs to see what is there. Each level will usually have a distinct atmosphere. Today it was story-telling tourists on level two and laptop gazing expats on level three. The eggs were delicious. 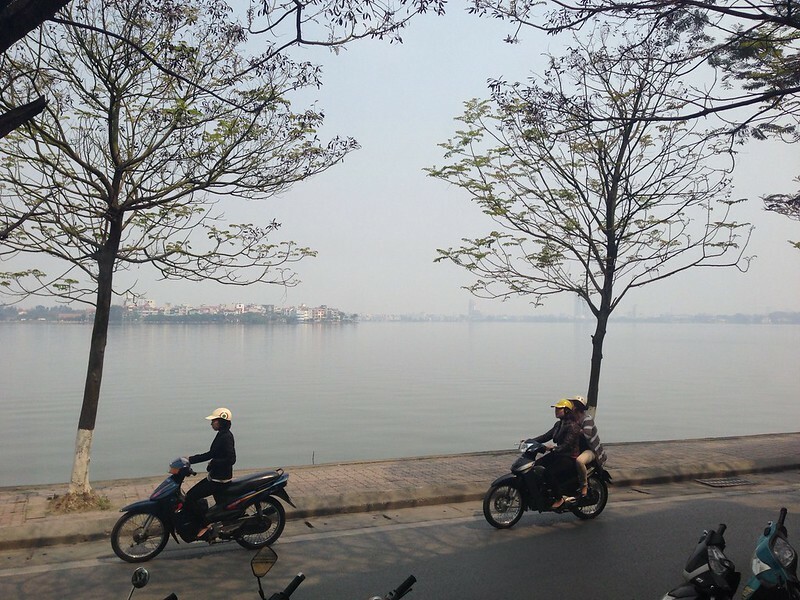 Hoàn Kiếm lake with its temple and Turtle Tower made for a scenic Strava run. The south end has the Metropole Hotel and expensive boutique shops while the north is filled with culture – lots of bustling streets to explore and all sorts of interesting people sharing spaces. Pots n Pans is run by KOTO staff and funded by Melbourne’s Small Giants. Don’t be expecting $0.50 pho, these dishes are really high end and my slow cooked lamb certainly left me satisfied. The next day I walked along West Lake to check in at the Commune coworking space. These guys have a massive view of the lake from their roof that’s easy to work from. Madame Hien is one of the most popular locations for dinner right now, so it’s wise to make a booking as they are absolutely packed. 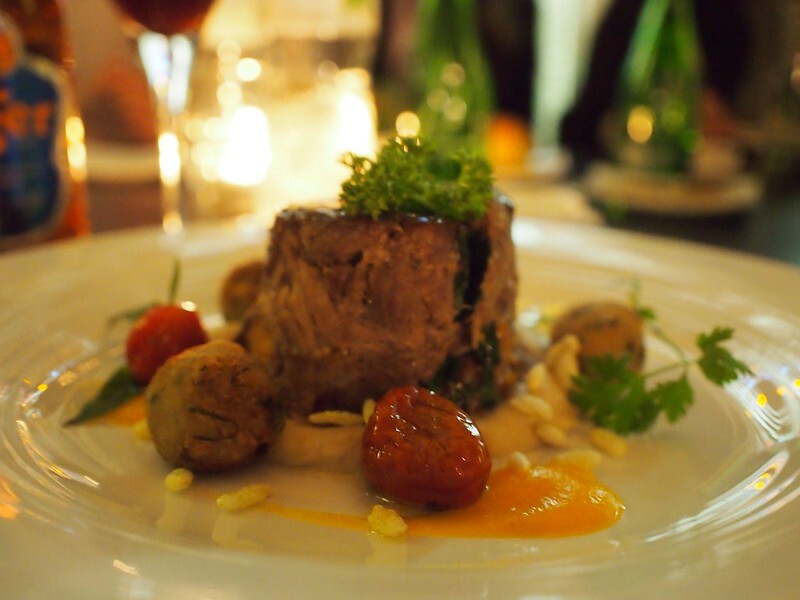 Celebrity chef Didier Corlou has some incredible fusion dishes on the menu. Make sure you try the sapa honey ice cream for dessert. Having adjusted to the pace of the streets it was time to head up some stairs to find the great coffee. The first place I spotted was Analog with its vibrant neon sign and uncertain staircase. This shisha bar has a great balcony where you can see what’s happening on the street below. Asking for the wifi password came the comical response idontknow. 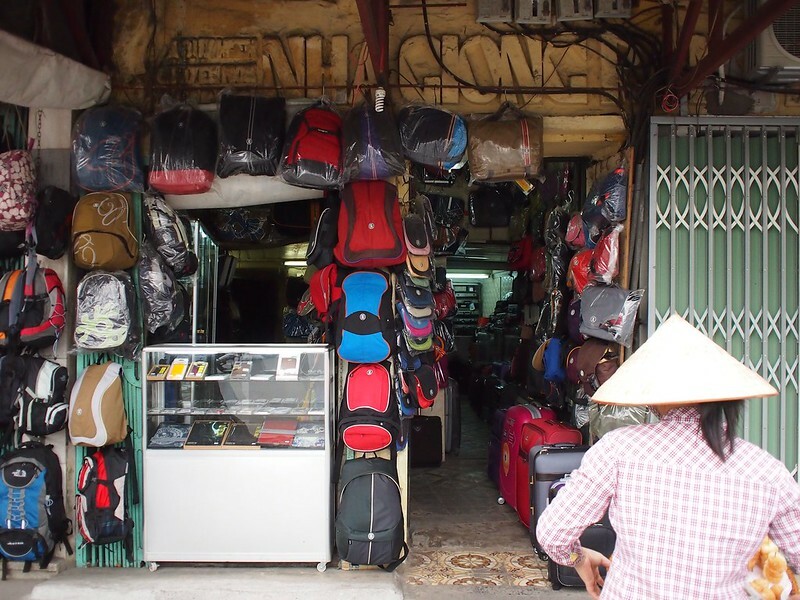 Next I needed to find the souvenir shop at 11 Hang Gai. There may be some nice things to buy but this is about coffee so focus! Radio Cafe is at end of the souvenir shop and up the first stairs (it is a terrible mistake! ), so you need to keep walking along the dark laneway from the back of the shop until you find yourself in a garden. A girl jumps from nowhere to take your order (yoghurt coffee maybe?) before you ascend three flights of stairs to the seating that looks out over the lake. 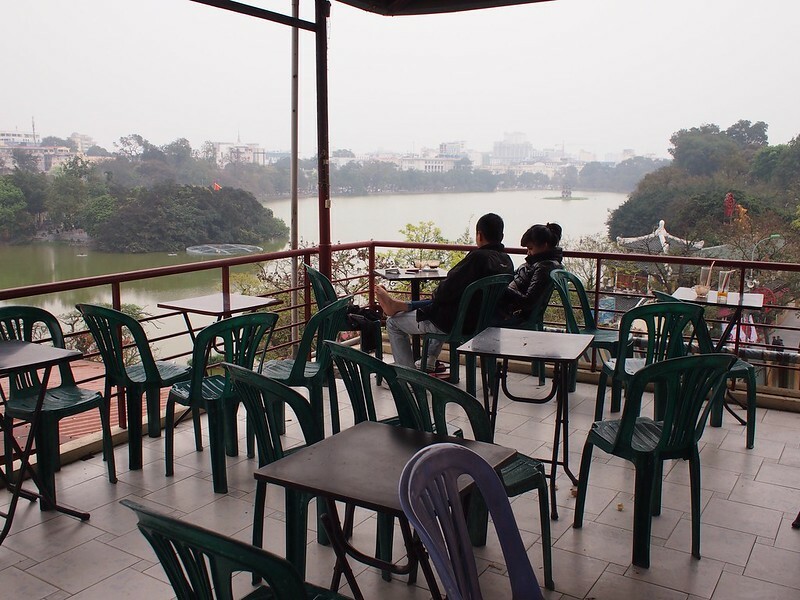 Time disappears in this awesome view of the lake at Cafe Phố Cổ. 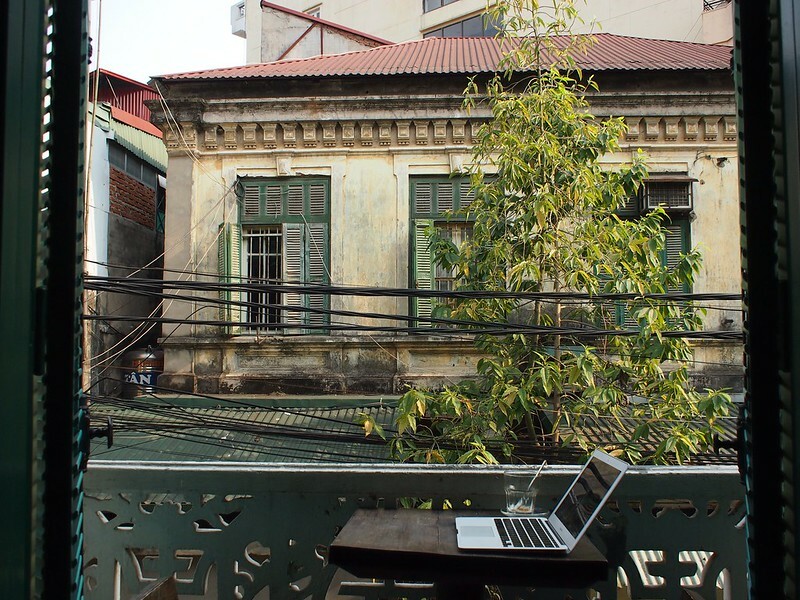 It still took me a few laps of the block to figure out that I needed to walk through a backpack shop to find Cafe Đinh, having walked down a handful of shady unknowns and discovering that what feels like someone’s private house is quite possibly a brilliant public venue. Waved hello to the bag ladies and crept behind them into the darkness until I spotted the staircase to the first level. 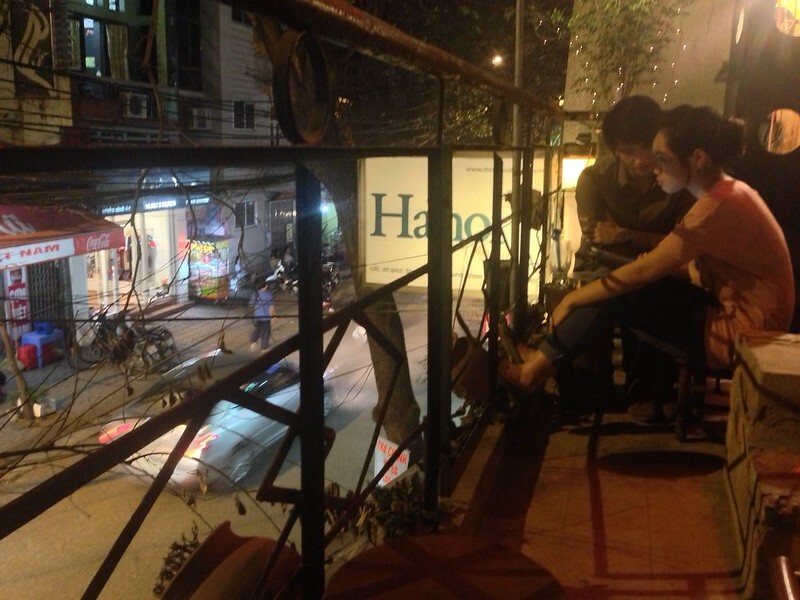 Vietnamese music was thumping down the hall where the local free thinkers are chatting, texting, smoking, gaming and reading news as the coffee drips timelessly through the filters. Someone was leaving so there was a spare seat and I crouched my Western frame onto the tiny wooden stool. The most local of experiences and behold this incredible cup in front of me! 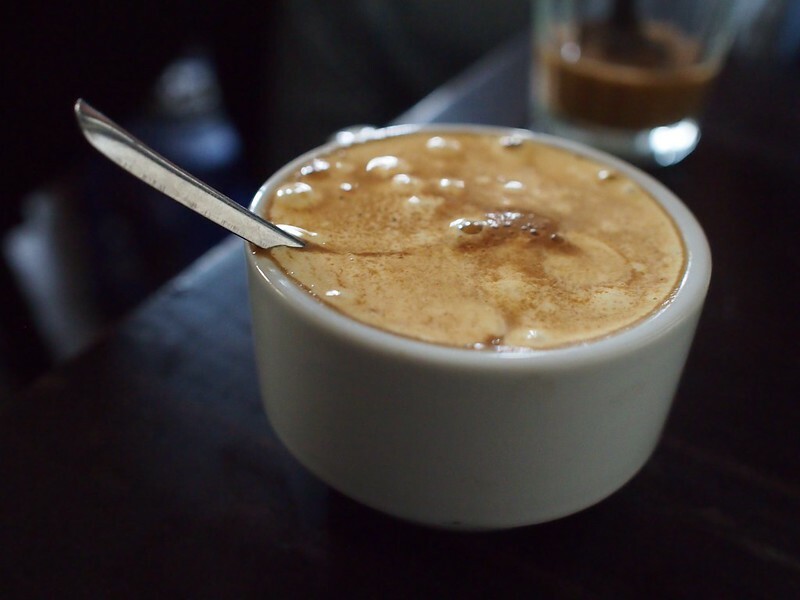 Whipped egg and sugar make up the meringue layer on top of a coffee shot for cà phê trứng. After returning as many times as I could I saw the atmosphere range from the first few people appearing at 7am as the news radio trumpets from the speakers, through the midday shift change from owner Mrs. Bich who opened the cafe in 1984 to the youths who raise the music a few levels, and beyond the 4pm frenzy into the evening until closing at 9pm. 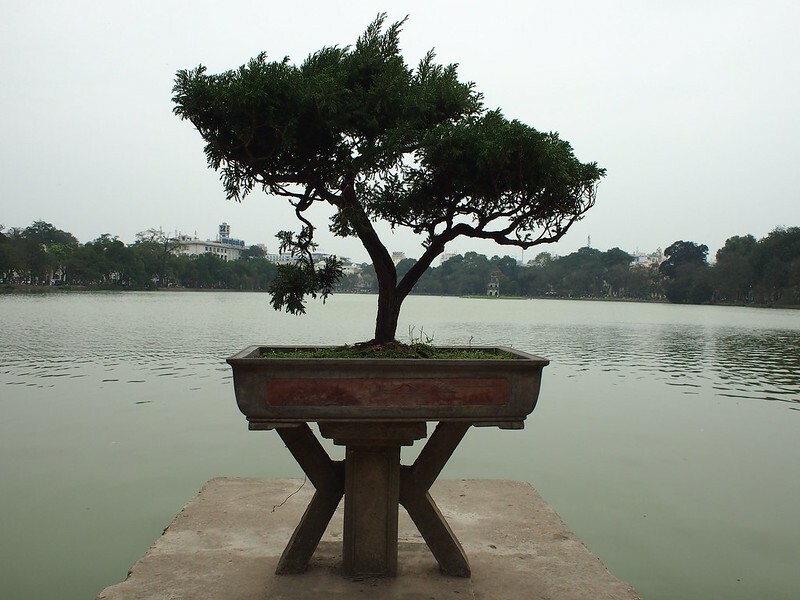 This magnificent experience topped what I had considered possible in Hanoi. What an institution. 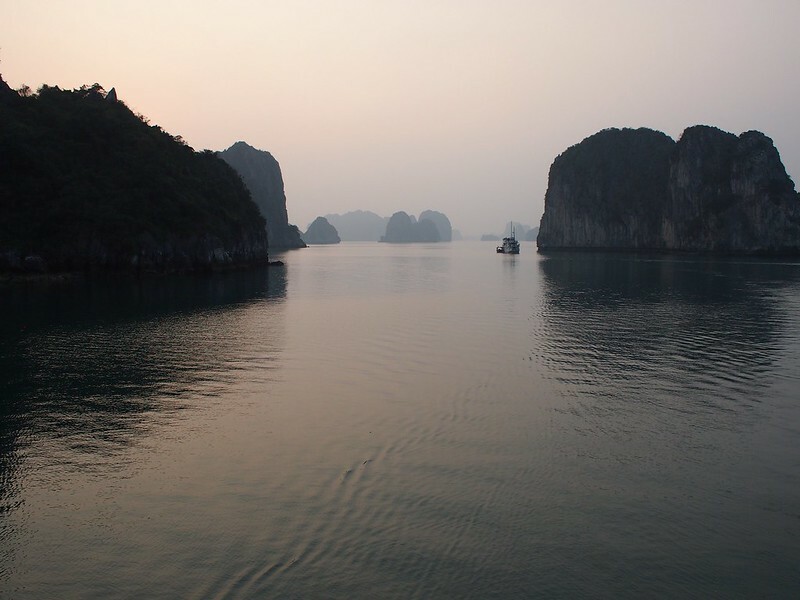 After plenty of city I felt like it was time for some green and blue so I found a Halong Bay cruise with Handspan Eco Adventures (their office is a few minutes walk from Cafe Dinh) and in a day I was on a boat floating amongst this natural wonder of the world. 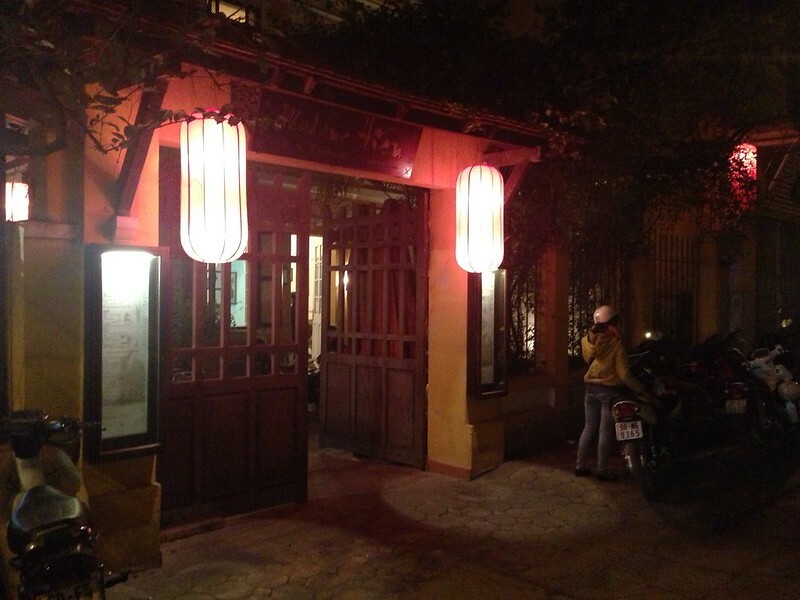 You can follow this Hanoi list on Foursquare. Next I flew to Boracay!